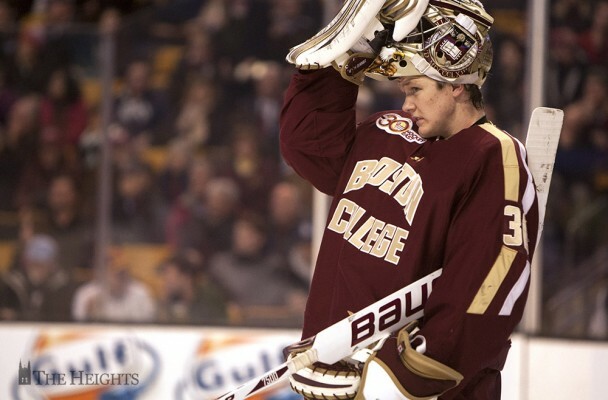 The Boston College men’s hockey team lost many of the players that made it a national semifinalist last season. Johnny Gaudreau, Bill Arnold, Kevin Hayes, Isaac MacLeod, and Patrick Brown are not walking through that door next year. Head coach Jerry York is a relentless recruiter, but if there was any doubt about next season’s recruits, the 2014 NHL Draft indicated that the players who will be walking through that door will be pretty good. Long Island native Milano racked up 58 assists this past season for the U.S. National Development Team, eight more than former record holders Patrick Kane and Andy Hilbert, and only has to share the record because fellow BC commit Jeremy Bracco reached that same total. His 87 points are tied for fourth all time on that list with Jack Eichel, a projected top-three pick in 2015 and incoming BU freshman, with whom Milano rode shotgun on the USNDT’s top line. The hype surrounding Eichel led to some skepticism about Milano’s production, but NHL.com expert Mike Morreale said that would be failing to recognize Milano’s incredible skills. “Sonny Milano has the best hands of any player in the 2014 draft class,” said Morreale in an email. “He does things with the puck that make you shake your head. He’s really fun to watch. His coach for the [USNTD], Danton Cole, told me Sonny probably has as much skill and puck skills as anyone he’s coached in 15 years. That’s saying quite a lot. With BC losing its top-two centers in Arnold and Brown, Ryan Fitzgerald will likely slide to the middle, leaving an even bigger hole created at left wing due to Gaudreau’s departure. Gaudreau isn’t replaceable, but Milano may recreate some of those awe-inspiring swoops down the left wing at Conte Forum next season. With or without the highlights, Jerry York will be counting on Milano to produce, and Milano’s history suggests he’ll deliver. BU coach David Quinn, saddled with a diminutive and underperforming team, remarked this past season that BC’s program had changed. The Eagles were good, but also big, and that was different, especially up front. The Eagles lost their biggest forward when Kevin Hayes graduated, but Tuch will enter the fall as a bigger name and body than Hayes was when he arrived in Chestnut Hill. “Tuch showed so much improvement from the start of the season to the end,” Morreale said. “He finished No. 12 on NHL Central Scouting’s final list of the top North American skaters eligible for the 2014 NHL Draft to become the highest-rated American-born player entering this year’s draft. Again, with York’s all-world first line departing, BC doesn’t have time to wait for its heralded freshmen to make an impact. Tuch didn’t have the production that Milano did in Ann Arbor, but he did more than fine for himself, and if he continues his ascent, he shouldn’t have an issue meeting expectations. Demko played much better than the youngest player in college hockey should have last season. In 24 games, he compiled a .919 save percentage playing in the best conference in college hockey, and was the deciding factor in a number of road victories. 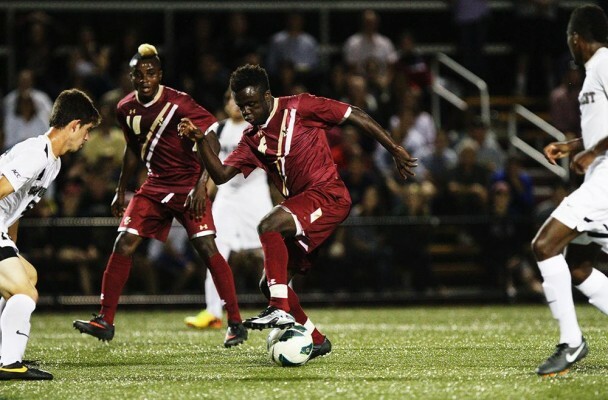 He let in a couple of soft goals in postseason play, but that didn’t take away from a body of work that surpassed high expectations for the freshman. Drafting goalies in the first round is bad business, and Cory Schneider’s (to whom York compared Demko this year) former team didn’t want to risk letting the consensus best goalie in the draft fall any longer. “I was very impressed with the way Thatcher Demko held his own as the youngest player in the NCAA Division I ranks,” Morreale said. “York had full confidence in Demko. He led the team to a Beanpot and finished with a sub-2.25 goals-against average which is quite an accomplishment. Even if Demko plateaus next season, BC will have an advantage in net over most opponents. He probably won’t, though, and if he shows out as expected, the Canucks may want to get their hands on what they hope may finally solve their endless goaltending disaster.